Buying or selling a home is the largest financial transaction most people will be part of during their lives. Hundreds of thousands of dollars will be exchanged for a property. 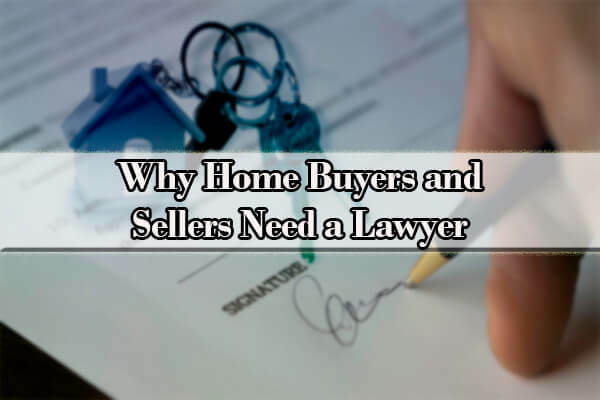 This property—the center of the transaction—and the legal documents surrounding it should be well-understand by both buyer and seller. 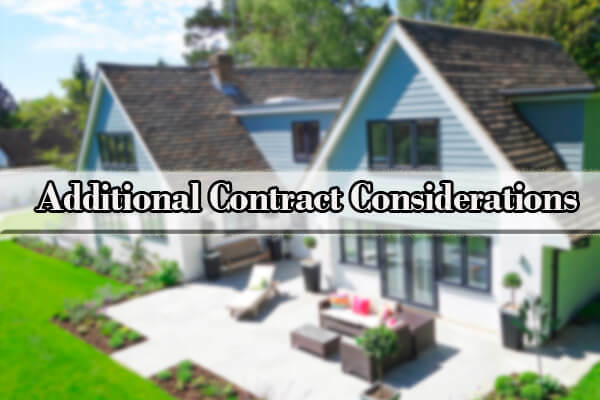 Legal documents that are agreed upon are binding contracts meaning these documents are usable in court if one or both parties develop disagreements after the sale of the home. Is the property up to code? Cities and municipalities often have their own rules and regulations about what a property is allowed to have. Furthermore, homeowners associations have detailed regulations as well. It’s important to know what these laws, rules, and regulations are! Picture this: All homes in the neighborhood are required to have light brown roofs; however, the property being sold has a dark brown roof. It just so happens, a few weeks after the new owners move in, they receive a notice they have to change the color of the roof. That means the new homeowner essentially has to replace the roof! A new roof isn’t cheap. As a matter of fact, they often cost thousands of dollars. That isn’t something a new homeowner wants to purchase right after spending six figures on the property! This raises the question: Who is liable for replacing the roof? Technically, the current owner is responsible for the home; however, the prior owner violated the regulation by installing the wrong color roof. But it’s possible the prior owner wasn’t even aware of the regulation. This is where a lawyer comes into play. Situations such as this one happen more often than you’d think. The answer to liability should be found in the contract. This is a great example of why home buyers and sellers need a lawyer. Stipulations will be included in the contract for situations such as this one. A lawyer knows exactly what verbiage to include in the contracts. After all, this is the verbiage that will be used to protect both buyer and sellers in the event of litigation from either side. With the prior example, we saw how violating local regulations hurt either the buyer, seller, or both. In this section, let’s examine the possibility of damage to the home during the closing process. Congratulations! The buyer and seller have agreed to transfer ownership of the home. The property has already been inspected and it looks great. Negotiations have been agreed upon and are being finalized. There’s only one problem: One of the rooms caught on fire and caused minor damage. Who is liable? The buyer has the ability to stop the sale and discontinue progressing through in many circumstances, but he or she should complete a final walkthrough to ensure that no further damage is present. During this level of the dealing, he or she may engage with the seller to repair or replace certain items that suffered damage after the initial assessment but before the final closing of the sale. However, if the property sustains damage before the closing and the buyer is not aware of this, the situation may become complicated. The last sentence is what you should focus on. It’s not in the best interest or either the buyer or seller to run into complicated situations. A third party—a lawyer—is the perfect go-to when things don’t go as planned; however, situations like these run more smoothly if a lawyer was consulted with the contract before it was signed and before any damages were incurred. Does the seller actually own the property? A title search should be conduct to confirm the seller truly owns the home. A real estate lawyer will verify this for both parties. Most buyers and sellers of a property are lay people when it comes to real estate law; therefore, they don’t know what hazards to avoid with the contents of a contract. Let’s use financing problems as an example. There are times when everything seems to run smoothly; however, a wrench can be thrown into the mix at the worst possible moment. A buyer can sign a purchase agreement without being approved for mortgage financing. However, a good lawyer would encourage the buyer to be approved before signing a purchase agreement. Let’s say the home costs $400,000. The buyer in this example might think they qualify for the loan. After all, they might have a nice job and good credit. In addition, a colleague at work who makes a similar salary may have also purchased a home for $500,000. What the buyer doesn’t know is that their colleague’s spouse also works which allowed them to qualify for the $500,000 mortgage. The buyer’s spouse is currently not working and the buyer’s household income does not qualify them for the mortgage. What happens next? They already signed the paperwork to purchase the property and even put down a down payment. They thought everything was going to go smoothly. Is the buyer liable to purchase to home? If not, are they able to get their down payment back? The seller can always demand full payment or at least demand to keep the down payment. They may also choose to walk away and return the seller’s down payment. If the seller demands full payment or refuses to return the down payment, it’s time for the buyer to retain a lawyer. There wouldn’t be as much controversy if the buyer and seller consulted a lawyer before signing the contract. The lawyer would have included stipulations that cover things such as a no mortgage contingency. It costs money to retain a real estate lawyer; however, the benefits of having one far outweigh the cost. Lawyers ensure that both parties—the buyer and the seller—are protected under the contract they enter into. Therefore, hiring a lawyer should be seen as an investment instead of a cost.